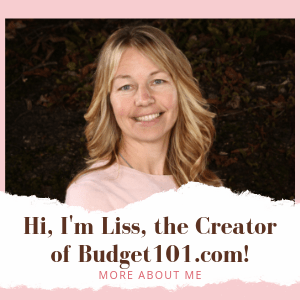 Roses are absolutely gorgeous and make a lovely addition to any garden, but figuring out how to make the flourish with so many items available on the market can cause a big headache as well as a slam to the budget. 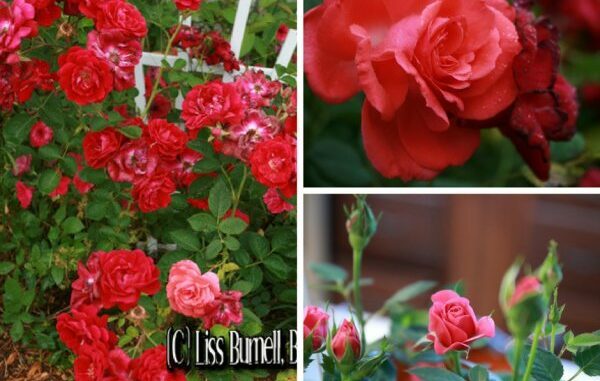 Here is my secret dirt cheap rose bush fertilizer for perfect blooms year after year . . .
Actual weather conditions rather than a specific date, is what matters when you fertilize roses. The best time to begin fertilizing is when the plant has 4 to 6 inches of new growth, and the first new leaflets with 5 to 7 leaves appear on the bush. Banana peel contains a healthy dose of potassium, an average of 78mg/g as well as calcium 19 mg/g, sodium 24mg/g, manganese 76mg/g, and iron 6mg/g. These nutrients provide a great boost to the soil naturally and they’re wonderful for most plants, not just roses! Unlike many other items, banana peels don’t have to be composted first in order to add them to soil. For beautiful blooms, simply flatten a banana peel (stem and all) and then bury it approximately 1 inch deep at the base of each rose bush. If the bush is quite large, use up to three banana peels. Your roses will love the burst of potassium, phosphorus and nitrogen and with the added benefit of disease resistance. Alternatively, the banana peel can be pureed in a blender and poured into the base of the rose bush for rapid absorption. If you already have some roses, or know of someone who does, here’s a fantastic way to propagate more rose bushes from cuttings. also works well to whiz up the banana peel in your vitamix with a couple cups of water, and pour it at the base of the rose bush. should remove the hard stem before blending, tho. Great point. Why disturb the soil and bother working, when you can just make a pour-on fertilizer and dribble some on every rose. If you want to do a big batch, keep the peels in a bag in the freezer until you collect enough. Freezing and then thawing them will make them easier to blend anyway, and won’t do anything to the potassium! i’m going to use this. thank you! i find it best tocut the banana into very small pieces or whirl in my food processor. hint: winter: these also can be cut up, de-hydrated…whirled in processor to make a loose powder over the winter (while the roses are napping). jut measure an amount equal to one banana ( measure one thats been dried, and then you’ll know how much to use); and dig into the soil. tip: dried used coffee grounds are also fabuous for roses (sorry, i recall why)… but they do wonders for the plant. just dig in as you would the banana. this is great! you just saved me a lot of money – my parents will love this one too! their on a fixed income, i’ve been telling them all these little gems of information with them. they always had a huge garden when we were kids, but sold the house when they retired, i got my dad doing a container garden, he loves it, could these fertilizers work on veggies too? thank you. love the ideal of using the blender to whip it up. let the bushes get it that much quicker. thank you for this tip. rose fertilizer is so expensive, and we have lots of roses. i will try this this week. How often do you add a banana to each rose bush? i just planted a rose bush this year and am so thrilled to find this. thanks for posting this tip. i will use this one, definately! looking for a rose bush. i have heard they are called falling rose bush. i have only heard of it once but i am wondering what they look like, if they are easy to grow and where they can be purchased. sounds like a great idea!! i have two mini rosebushes. one is doing very well, but the other needs something and this might just be it!! i can’t wait to try this. my roses are looking pretty sad this year. i love the idea about whipping it up with water in the vita-mix! i am a little confused. do we use the whole banana or just the peel? we have 10 knockout roses and this may well be what we need. I probably will try the coffee grounds also. As a boy living in the country, we incorporated coffee grounds into a bed where we grew earthworms to sell to fishermen. I bet these ideas encourage the growth of earthworms that help fertilize a rose bed. my grandmother used to be able to get a starter clipping from a stem or bush rose. she has since past and i have no idea how she did it. does anyone have any insite on this. If you can get a limb of your rose bush on the ground with your finger or stick make a trench ( about an inch deep ) lay the limb in the trench place a brick or stone on the limb. lightly water it. In about 2 to 3 weeks you can cut the limb from the bush, now you can move your new bush, You can do this with a lot of plants. I hope this helps. I use coffee grounds (after they have been brewed). Mixed with epson salts and egg shells. Mix it up and sprinkle around the base of any flowering plant. You can also mix with potting soil. Easy to do. I keep an ice cream bucket on the counter and collect as i go. Making breakfast – throw in the egg shells and grounds. Before youknow it the bucket is full and you can add epson salts and soil. I just sprinkle it on when I water. I have beautiful roses, oranges, limes, pears, star jasmine. This is an awesome idea! My father wants me to plant a rose garden for my mother in the spring. Usually I use bone meal and/or fish emulsion in amended soil to get the rose off to a good start. I live in the mid Atlantic region and black spot and aphids, along with just about anything that will threaten a rose, is a real problem here, regardless how much breathing room the roses have. Years ago I started using Bayer systemic rose food when I planted. It worked wonders but it’s not organic and I don’t like putting chemicals in my soil. Has anyone tried the banana peel and or coffee grounds for successive years with good success? If so, should the entire banana be used or just the peel? I’d love to get away from chemical fertilizer/fungus/pest control! This is an awesome idea! My father wants me to plant a rose garden for my mother in the spring. Has anyone tried the banana peel and or coffee grounds for successive years with good success?Thanks! I’ve used my used coffee grinds for years and my roses have always been lovely! you can also used them on any yellowing bush or shrub.